Want to Live Longer? Eat More Fruits and Vegetables. Five daily servings of fruits and veggies are good for you, but ten is much better and one of the keys to living a longer life, reducing your risk of death by nearly a third, according to the authors of a landmark study published in the February 2017 International Journal of Epidemiology. 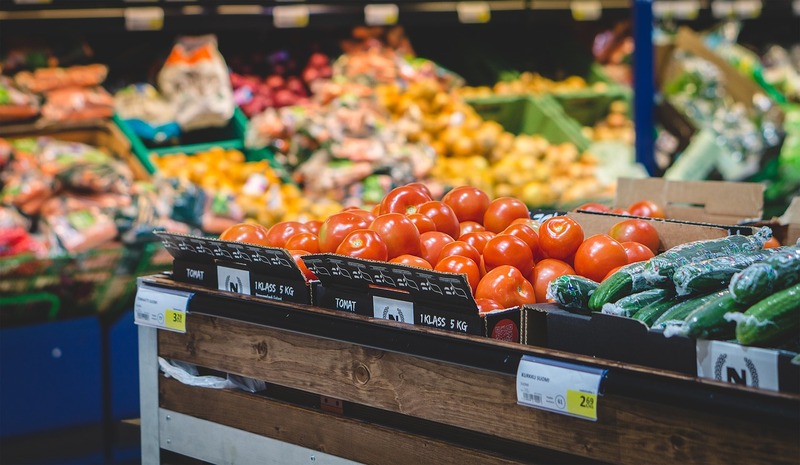 In performing the study, the largest of its kind, the authors from the Imperial College of London (ICL) analyzed the dietary habits of a total of 2.1 million people worldwide, combining the data from 95 separate research studies. There’s hope for those who want to live a longer life, yet struggle to eat three servings a day. The study showed that small health benefits accrue to those eating little over one serving a day, with benefits ramping up to 10 a day. Eating only two and a half daily servings was associated with a 15% reduction in the risk of premature death, as well as warding off stroke, heart disease, and cancer. The study presented the strongest evidence to date that increasing plant intake is one of the keys to living a long life as it significantly reduces the risk of heart attack, stroke, cancer and early death. The study found that the daily consumption of 400g of fruit and 400g of vegetables produced the biggest health benefit, reducing the risk of dying by 31%. Furthermore, Dr. Aune believes that compounds called glucosinolates, found in cruciferous vegetables, may help prevent cancer. Adding that fruit and vegetables contain a lot of fiber, which may have a beneficial effect on the naturally-occurring bacteria in our gut. New research reports come out each year, with one report contradicting the next. Recognizing the confusion that this created, the authors of the ICL study gathered all the nutrition studies to date and pooled their results, creating a study of studies, also known as a systematic review. They included all high-quality studies – whether or not they supported the main conclusion – and threw out the studies that were biased. The researchers wound up including 95 high-quality research studies in their analysis, involving a total of approximately 2 million people. The authors assessed up to 81,000 cases of cardiovascular disease, 47,000 cases of stroke, 43,000 cases of heart disease, 112,000 cancer cases, and 94,000 deaths. The authors took into account factors such as a person’s physical activity level, weight, smoking status and overall diet. After adjusting for these factors, their final results concluded that fruit and vegetable consumption increased health and prolonged lifespan. Research shows that apple a day keeps the doctor away. While all fruits have lifespan-extending powers, the authors found that apples and pears were tied for healthiest, closely followed by berries, fruit juice, citrus fruits, and bananas. 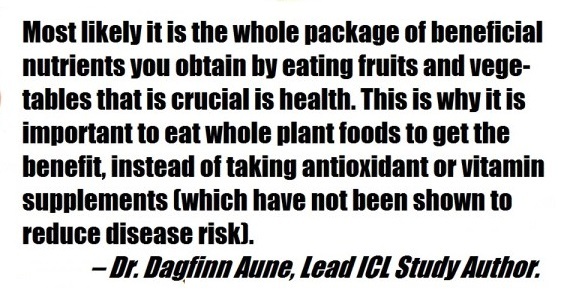 The author’s conclusions about the benefits of all fruits as a group were statistically sound. However, regarding individual fruits, the authors could only estimate which ones were healthier, and couldn’t do so with statistical accuracy. The authors made educated guesses about the merits of individual fruits, with a broad range of values for some. The researchers found that edible mushrooms were the most healthy, closely followed by allium vegetables such as onions, garlic, leeks, and chives, which were tied for second place with root vegetables such as carrots, potatoes, radishes, turnips. The author’s conclusions about the benefits of the vegetable group were statistically sound. However, just as with fruits, the researchers could only estimate which ones were healthier, and couldn’t do so with rigorous statistical accuracy. In summary, while vegetables as a whole are statistically proven to improve one’s health, the authors couldn’t determine with certainty which particular ones were the healthiest. The researchers reported their best estimates, along with the margin of error. Vitamin and mineral supplements can’t transform a marginal diet into a good one. In fact, a companion article shows that megadoses of some vitamin and mineral supplements are downright unhealthy. It’s been long accepted by the scientific community that vitamins and supplements can’t replicate the tremendous health impact of whole fruits and veggies. This is because fruits and veggies don’t just contain vitamins and minerals and dietary fiber, they also contain a massive number of beneficial bioactive compounds, not only cancer-fighting glucosinolates, but also phytochemicals, such as ellagic acid, lignans, glucosinolates, resveratrol, flavonoids, and carotenoids. Whole foods, such as fruits and veggies have a multitude of bioactive compounds that work together, in the same way, that musical instruments work together in a symphony. Fruits and vegetables contain an enormous number of compounds that cannot be easily replicated and put into a pill. 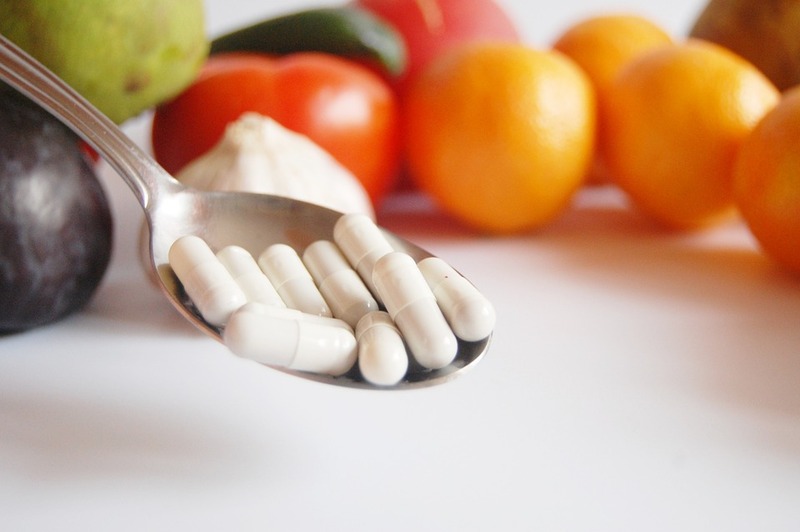 Related Article: Top Five Health-Harming Vitamin & Mineral Supplements. Not all evidence is created equal, with many research studies contradicting the next. Some individual research studies are funded by various manufacturers or trade groups, a clear source of funding bias. That’s where a systematic review comes in. Systematic reviews are only as good as the quality of the studies it includes. A well-conducted one only includes high-quality evidence, that is not biased. Then the reviewers combine the data from all the separate studies and summarize the results to create the final systematic review. While a well-conducted systematic review is considered the highest level of evidence, factors affect its quality. As is typical for nutritional research, the ICL researchers only included observational studies, because they form the bulk of published evidence in the nutritional field. While observational studies are considered to be a weaker form of proof than clinical trials, they are the best way – and sometimes the only way – to study food intake over long time periods. The ICL Study was a systematic review – the highest level of evidence. The ICL Study was well-conducted and one the largest of its kind, examining 95 studies that followed 2,123,415 people. The massive size provided increased statistical power to detect significant associations. The authors included as many global high-quality studies that they could find, including those that supported the main conclusion and those that didn’t. The researchers looked at important health outcomes, including coronary heart disease, cardiovascular disease, cancer, stroke, and death. The authors performed a comprehensive subgroup and sensitivity analyses, lending validity to their conclusions. While correlation does not equal causation, the authors have done their homework. The study was definitive: it was the largest of its kind. The meticulous attention to a rigid methodology and their sub-analyses lends credibility to their conclusions. Getting ten servings a day is not that difficult if you follow a few guidelines discussed in the companion article, How To Get 10 Servings Of Fruit And Vegetables Daily. The authors of the ICL study only covered fruits and vegetables.This is because they are considered to be the healthiest foods that people eat in bulk. Research has uncovered other foods that are also healthy, including coffee, chocolate or cocoa, and fish. Coffee Beans – Research has discovered healthy plant compounds in roasted coffee beans. A companion article discusses the health benefits of drinking coffee. Chocolate – Scientists have also discovered healthy compounds in cocoa, the key ingredient of chocolate. To learn more, read the companion article about the health benefits of chocolate. Related article #1. Explains why whole fish is much healthier than fish oil supplements. Related article #2. A short article that explains the American Heart Association’s position on fish oil supplements. Related article #3. Learn the secrets of fish oil supplement industry. A study of over 2 million people shows that people who consume 10 servings of fruits and vegetables daily live longer. Fruits and vegetables figure prominently in many top-ranked diet plans, such as the DASH Diet. The researchers found that the most health benefits were gained by people who consume 400 grams (five servings) of fresh fruit, and an equal amount of vegetables. The authors found that consuming more than these amounts conferred no additional health benefits. 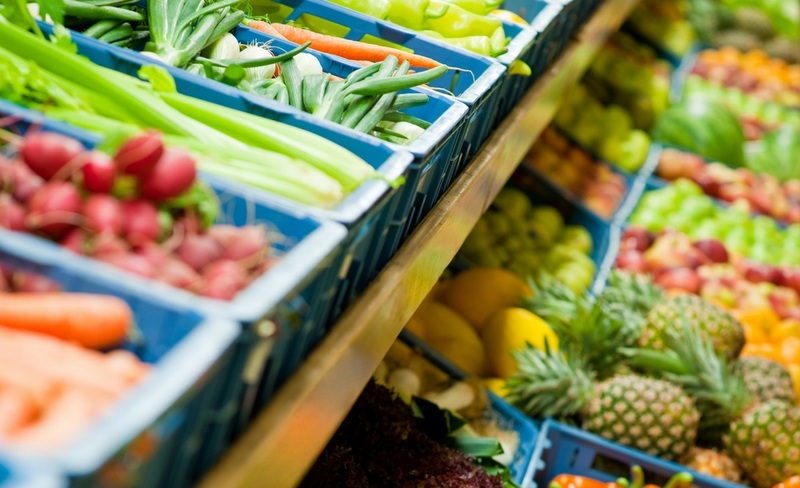 The best fruits and veggies to choose are those that you like to eat the most, and that fit your budget. The 2015-2020 USDA Guidelines recommend consuming a wide variety of fruits and vegetables as the healthiest option. One simple click on the Google+ or Facebook link will post this article and help us spread the word. Thank you. If you’d like to read weekly updates on healthy aging topics or read other articles on this topic, follow my weekly column on Google+. 1.) Dagfinn Aune, Edward Giovannucci, Paolo Boffetta, Lars T. Fadnes, NaNa Keum, Teresa Norat, Darren C. Greenwood, Elio Riboli, Lars J. Vatten, Serena Tonstad; “Fruit and vegetable intake and the risk of cardiovascular disease, total cancer and all-cause mortality – a systematic review and dose-response meta-analysis of prospective studies;” 22 February 2017; International Journal of Epidemiology. DOI:http://doi.org/10.1093/ije/dyw319. Available Online. 2.) Kate Wighton [reporter] and Thomas Angus [photographer] | “Eating more fruits and vegetables may prevent millions of premature deaths.” [Press Release], 23 February 2017, Imperial College of London. Available Online. 3.) United States Department of Agriculture (USDA), Department of Health and Human Services (HHS) “Dietary Guidelines for Americans, 2015-2020;” 8th Edition; 2016, ISBN: 9780160934650. Available Online. Disclaimer – Advice, Diagnosis, and Treatment: This article is intended for informational and educational purposes only and is not a substitute for professional medical advice, nor for the diagnosis or treatment of any medical condition. 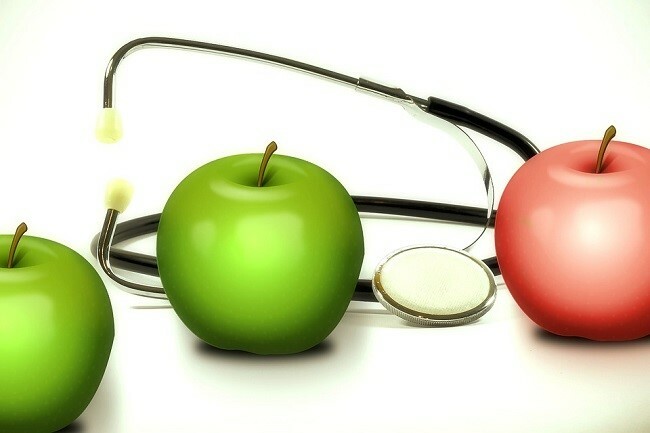 Always seek the advice of a licensed physician with any questions you may have regarding a medical condition, and before changing your diet or exercise program. External Links, Endorsements & Photos: This article is not intended to endorse companies, organizations or products. Links to external websites, depiction/mention of company names or brands, are intended only for illustration and do not constitute endorsements. You need to fix the pics all except the first one .. nice article .. well written ..
How sure are they about this?